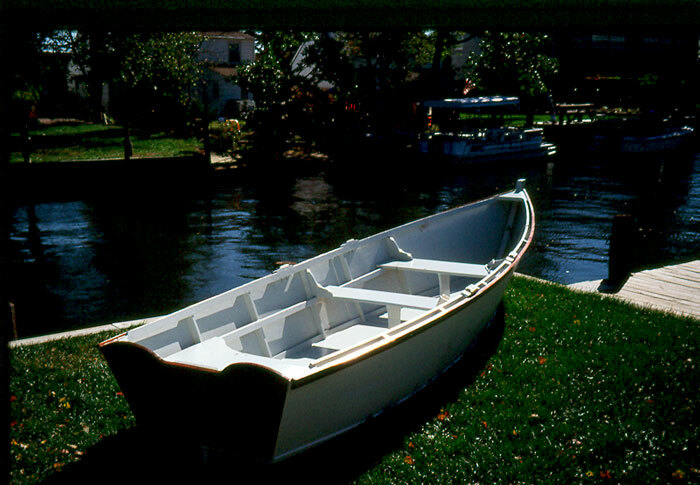 This is a Ken Swan Design 15' Chica rowboat. Herb Fisher built it of fir marine plywood over mahogany frames, covered with WEST epoxy. He launched it on July 4, 2001 in the Toms River, NJ. 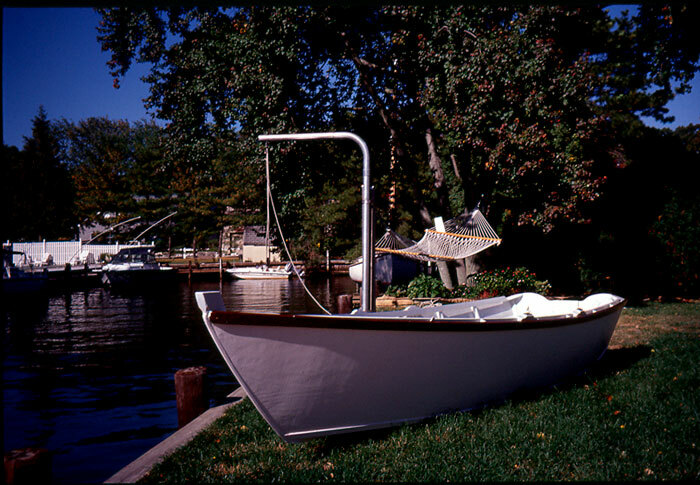 He writes that the rowing performance is excellent and he uses it for rowing and crabbing in the Toms River.